Canadian Valley Speech Services was established by Diann Burris in January of 2014 with one goal in mind - to help children become confident communicators in a fun and engaging environment. Diann is a Speech Language Pathologist with 17 years of experience working with people of all ages from early intervention to adult rehabilitative services. 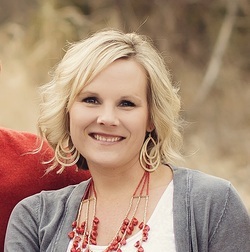 Diann attended Southern Nazarene University and received her Masters of Science in Speech Language Pathology in 2001 from the University of Central Oklahoma.